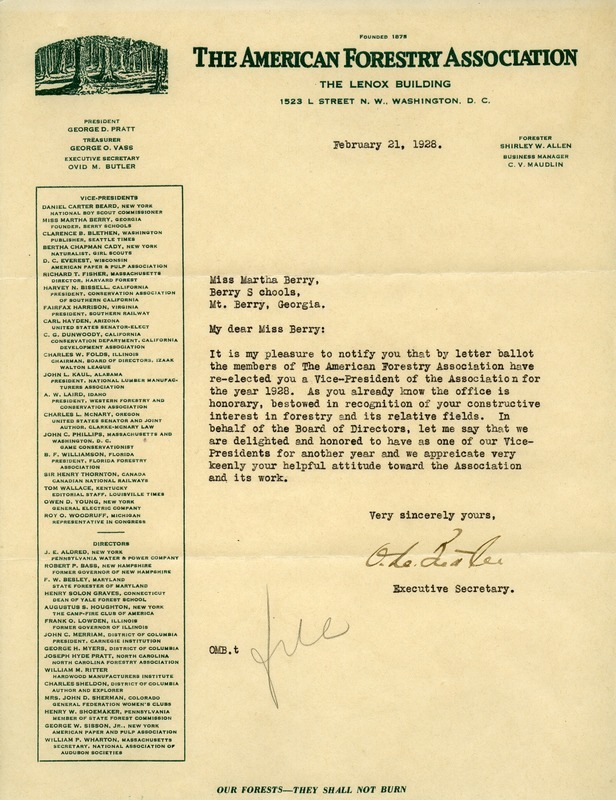 Butler notifies Berry that she has been re-elected as a Vice President of the American Forestry Association for the year 1928. Ovid Butler, “Letter to Martha Berry from Ovid M. Butler.” Martha Berry Digital Archive. Eds. Schlitz, Stephanie A., Sherre Harrington, et al. Mount Berry: Berry College, 2012. accessed April 25, 2019, https://mbda.berry.edu/items/show/7551.